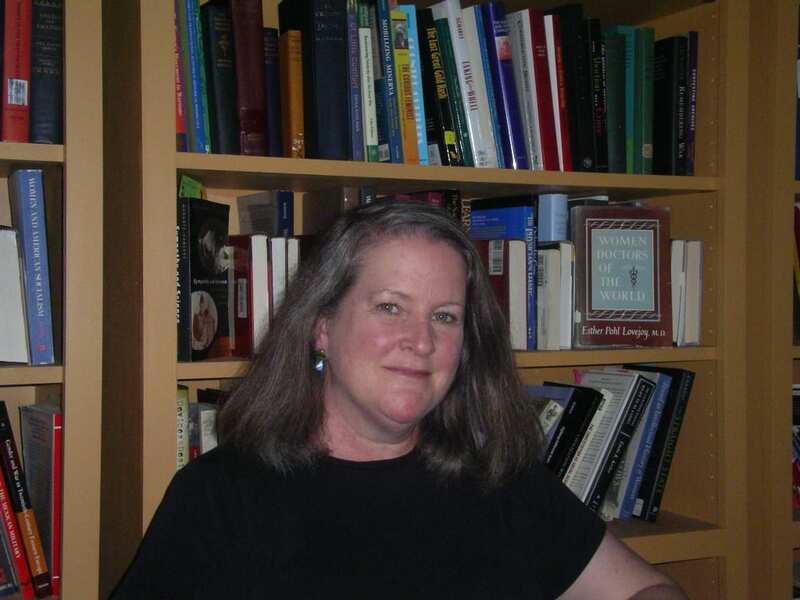 Today’s project highlight is on Kimberly Jensen and her research focus on women and gender in the early 20th century. Can you tell us a little about your project and yourself? I am Professor of History and Gender Studies at Western Oregon University in Monmouth. My research focuses particularly on women and gender in the early 20th century United States, including Mobilizing Minerva: American Women in the First World War (2008) and Oregon’s Doctor to the World: Esther Pohl Lovejoy and a Life in Activism (2012). My current research investigates Oregon women, citizenship, civil liberties, and the surveillance state from 1913-1924. My work would not be possible without historic newspapers because those newspapers carried information about women’s activities and ideas not available in archival collections or other sources. Historic newspapers are research tools for my students examining the history of woman suffrage in Oregon with our community partner the Oregon Women’s History Consortium. I particularly want to thank my colleagues Jan Dilg and Linda Long, who serve with me on the OWHC board, for their support for the students and this project. What interested you in this topic? Anniversaries draw public attention and interest to historical events and processes. Oregon women achieved the right to vote in 1912. I was lucky enough to be part of a great group of scholars and activists who participated in Century of Action: Oregon Women Vote 1912-2012, a project of the Oregon Women’s History Consortium. Woman suffrage in Oregon is a topic I researched for my study of activist Esther Lovejoy, and my students at Western conducted additional research to create documents projects for the Century of Action website. The 100th anniversary of the 19th Amendment, which placed votes for women in the federal Constitution, will be August 26, 2020. Students at Western are again researching historic Oregon newspapers to provide materials for an online exhibit on the OWHC website related to Oregon2020. What did you use in Historic Oregon Newspapers online? How did you use the site and which titles were useful to you? In winter term 2018, students in my honors seminar at Western conducted research with Historic Oregon Newspapers online to examine what diverse Oregon women were doing in the period around 1920. They also investigated ideas about women, gender, and citizenship expressed by newspaper editors, editorial cartoonists, and reporters. They were able to narrow their searches to 1920 to hone in on specific events relating to the ratification. They also used the keyword search to examine articles relating to a particular activist or organization. Some students wished to search a particular city paper for events relating to that community. The student documents projects in the online exhibit feature context and analysis with the newspaper articles and editorials embedded for readers to examine. This introduces the public to the importance of historic newspapers in a direct, visual way. Students shared their research at a public event at the State Capitol on March 20, 2018. Western’s videographer Deborah Rezell interviewed them about the experience and featured highlights of the evening in a brief video. This upcoming academic year 2018-2019, I will be working with students on two more elements of this online exhibit with the Oregon Women’s History Consortium. One group will research Oregon’s ratification of the 19th Amendment in the special state legislative session in January 1920. The other group will investigate Oregon suffragists who picketed the White House in 1919 and 1920 and were arrested for their activism. ‹ New Title from Falls City!